A native New Yorker, violinist Gene Hahn made his debut at Carnegie hall where he was invited to perform as a guest soloist at the age of 13. He then continued to perform regularly at Carnegie as a member of the New York Youth Symphony. During this time he also performed the Sibelius Violin Concerto with the Mannes College of Music Orchestra and was a winner of the Chamber Music Society of Lincoln Center Young Musicians’ Competition. He received a Bachelor in Performance at the Manhattan School of Music as well as a Master in Performance at the Esther Boyer School of Music in Philadelphia where he was awarded full scholarship. Mr. Hahn studied chamber music with the American String Quartet as well as orchestral repertoire with members of The Philadelphia Orchestra and The New York Philharmonic. He has also participated in numerous chamber music festivals, including Musicorda at Mount Holyoke College and The Quartet Program at Bucknell University. After finishing his master’s degree, he toured with the Philadelphia Virtuosi Chamber Orchestra. Hahn also performed as a member of the Haddonfield Symphony in New Jersey. He has performed as soloist, chamber and orchestral musician in several prestigious venues including Lincoln Center’s Alice Tully Hall, Carnegie Hall and Verizon Hall in Philadelphia. Gene founded and performs in an acoustic string band called ESME (Eclectic String Music Ensemble) based in West Michigan. The group writes and performs their own arrangements, covers and mash-ups of popular music using classical string instruments. They perform clinics and workshops for high school students at various schools in the Grand Rapids area using music they’ve arranged for ESME and high school orchestra accompaniment. ESME’s mission is to teach high school students to utilize their exposure to pop music (including pop, dance, folk, hip-hop, jazz and film music) and how to apply it to their school music programs and study of classical instruments. In September of 2015 after being seen performing at a local Grand Rapids bar the band was invited to appear on Fox17’s morning news segment the following week. In addition to performing clinics at high schools ESME also performs concerts and at social venues, art galleries and popular bar/restaurants in Grand Rapids. 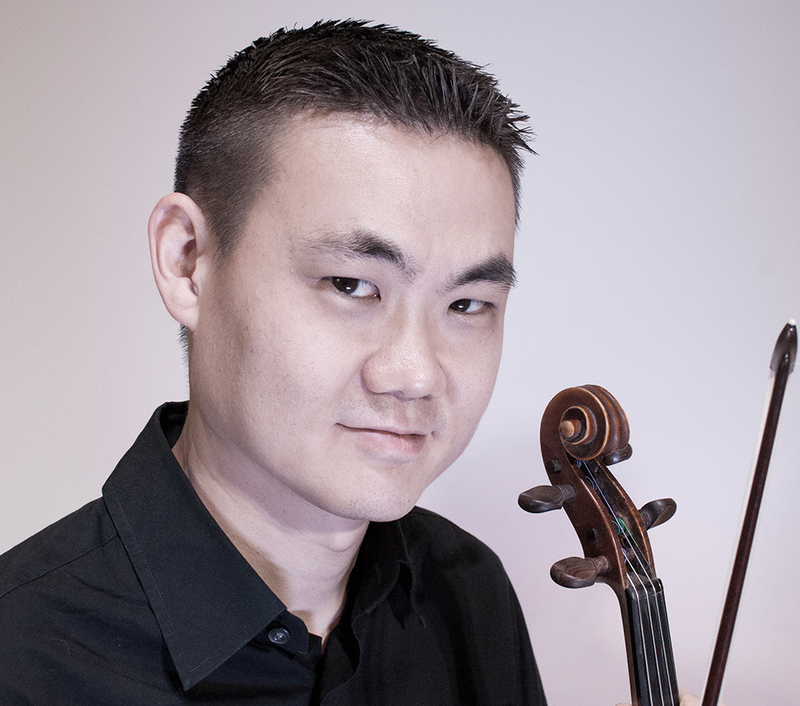 Mr. Hahn performs with the Grand Rapids Symphony in the Detroit Symphony Orchestra and as associate concertmaster of The West Michigan Symphony. Gene was a featured soloist in the performance of Mothership by Mason Bates at the November 2015, American Music: Old and New concert.